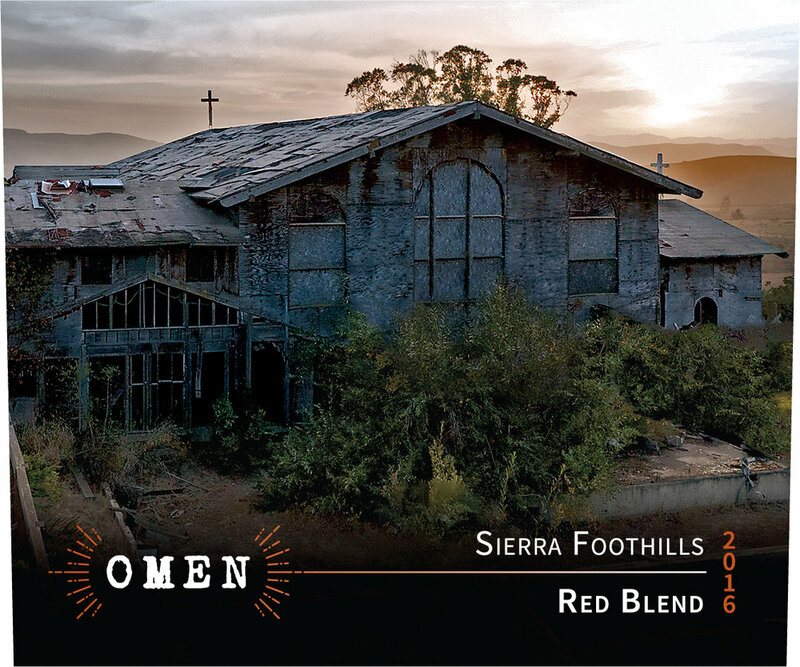 Omen wines is named for an abandoned monastery that sits atop one of the vineyards managed by Atlas Vineyard Management, creators of the Omen line. A project of winemaker Alexandre Remy and his team, Omen produces lush, round and ripe wines from vineyards in Paso Robles, the Sierra Foothills, and (for the Pinot) Southern Oregon's Rogue Valley AVA. Alex works with several different wineries to vinify his wines, as he firmly believes that grapes should never travel more than 20 miles from vineyard to winery to retain freshness. Omen Pinot Noir - fruit from 30-year-old vines in the Applegate Valley AVA, a sub-appellation within the Rogue River AVA, itself, in the Southern Oregon AVA. High altitude and cool nights in this warm region give this wine full ripeness with good focus for the layered fruit. Winemaking is designed to preserve and emphasize the fruit, including a low-pressure pressing, destem, cold soak and minimal use of oak. Around 3200 cases annually. Omen Cabernet Sauvignon- 50% Paso Robles for richness and depth and 50% Sierra Foothills for structure and balance. 5% Syrah comes from the Sierra Foothills' Fair Play AVA. Long maceration for depth and structure, moderate use of oak... rich and nicely balanced. 4000 cases produced. Omen Red Blend- a really cool blend of 50% Zin from the Cowan Ranch in the Shenandoah Valley where the lower altitude gives serious ripeness and depth, with 25% Barbera, 15% Syrah and 10% Petite Sirah from the higher-altitude Fair Play AVA. Destem, long cold soak, cool fermentation... it's all about the fruit, and then a moderate gloss of oak to enhance rather than cover. Really a great "big red" from the Foothills! About 3000 cases annual.